I set out today with the intention of doing a new walk from Settle but before I got there I realised that I’d left the map back in the caravan. I guess that this is what happens when one turns 60! 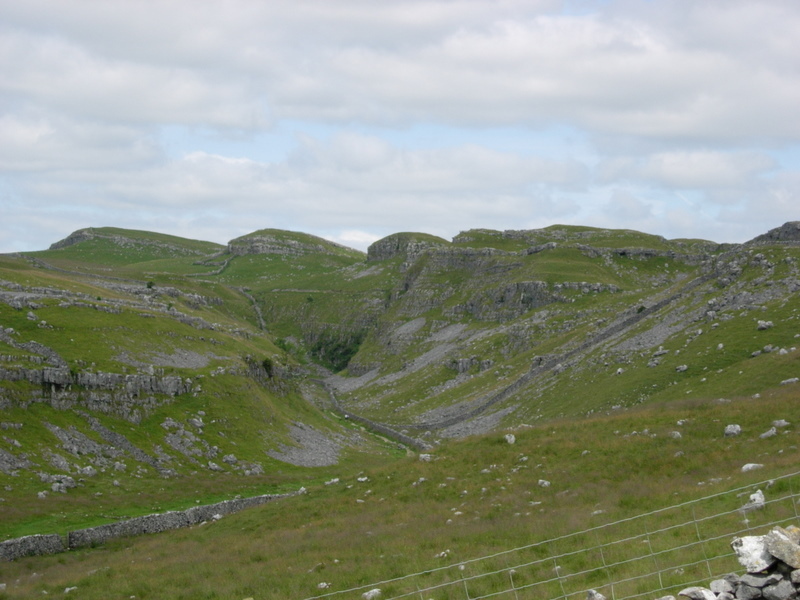 Rather than going back, I diverted to Malham to do a 6 mile walk with 970ft of ascent that I knew like the back of my hand and could do without a map or GPS. 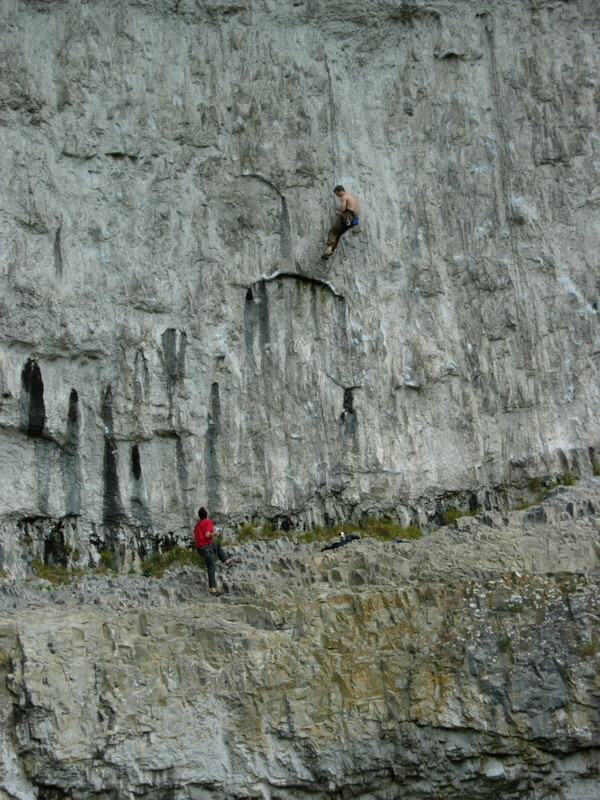 This was the route that I took members of our group on a few years ago. 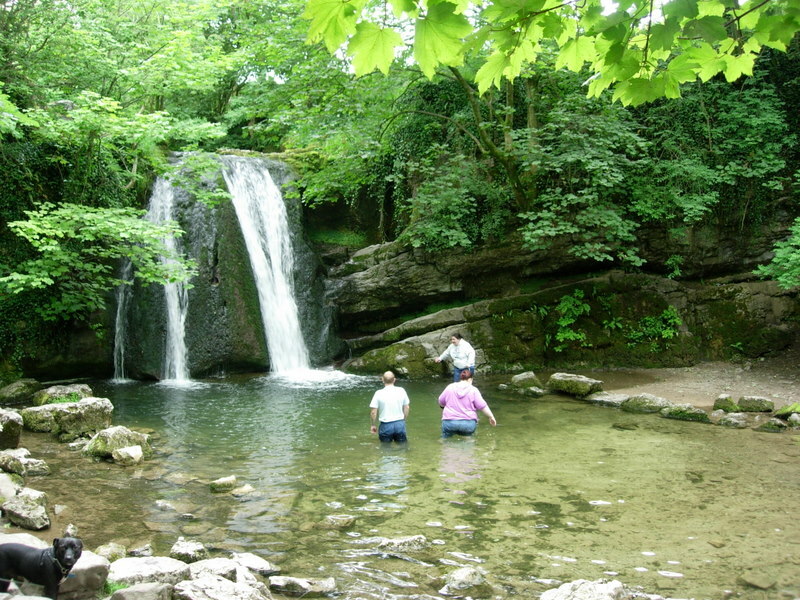 From Malham I headed for Janet’s Foss where I came upon some teletubbies wading in the water. Why, I know not, as it wasn’t that hot. 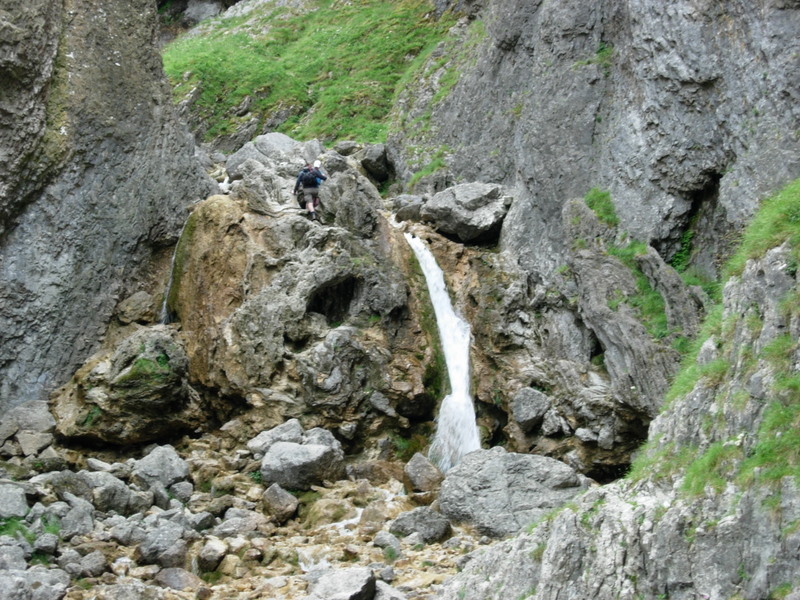 Leaving them to their bathing, I then headed for the scramble up Gordale Scar. As you can see there wasn’t too much water coming down so it was fairly easy, but it proved too much of a challenge for a guy behind me who I saw again later in the day. I stopped for a while just before the top of the Cove to watch a group of 6 or 7 young stoats playing by squeezing through the gaps in a drystone wall. 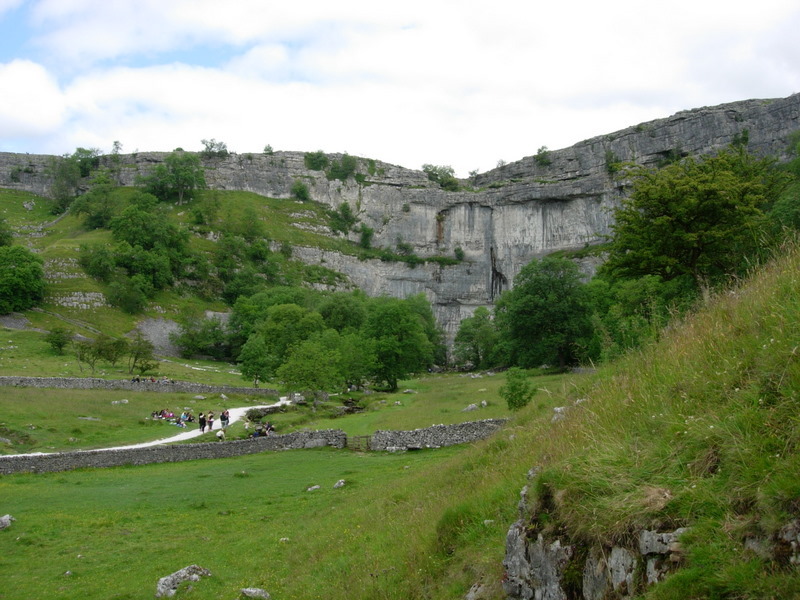 Arriving at the top of Malham Cove there were the usual large groups of school children and day-trippers. 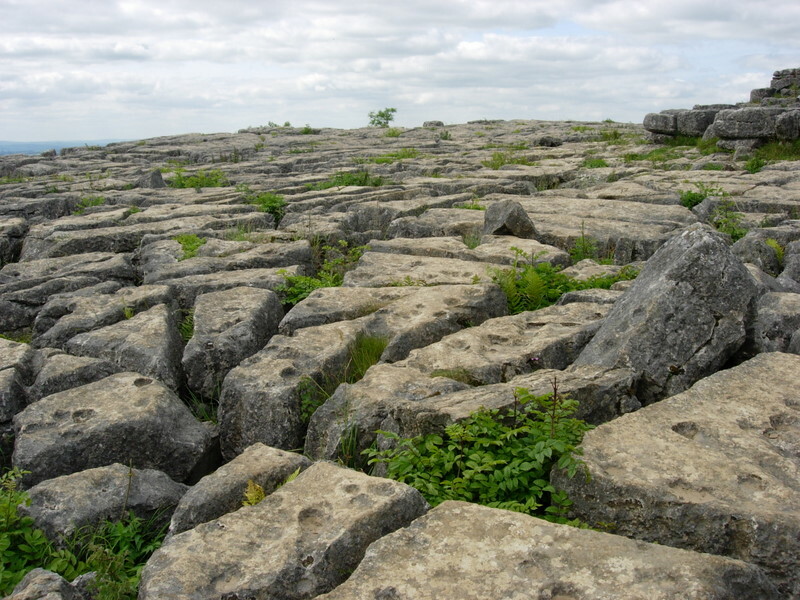 I soon escaped from them by taking a less used route back to Malham. 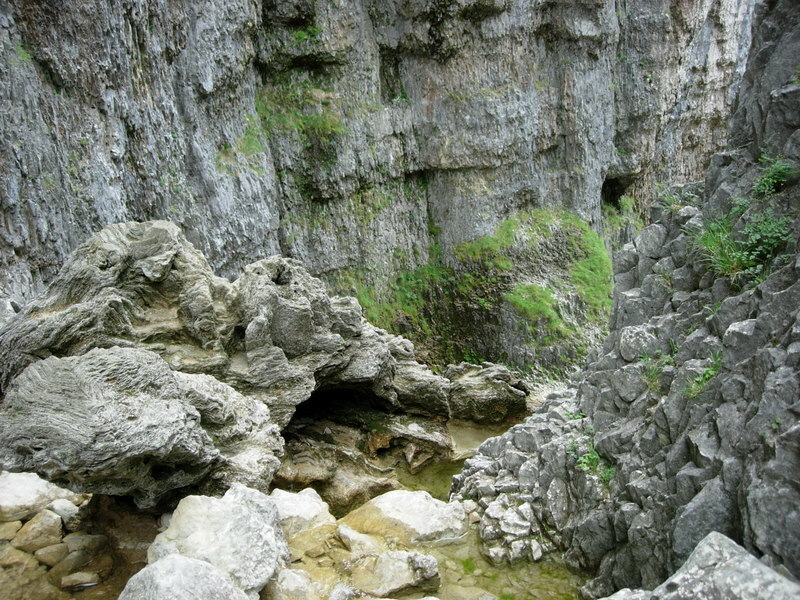 This entry was posted in Uncategorized on 13/07/2011 by fenlandramblers.